Subscription options, and (coming soon) Information Resources. Privacy guidelines, copyright information and contacts. All posts submitted to the Digest MUST include one of these topics in the subject line. They wheek, therefore we are. To help solve problems between members, the Fire Brigade was born. 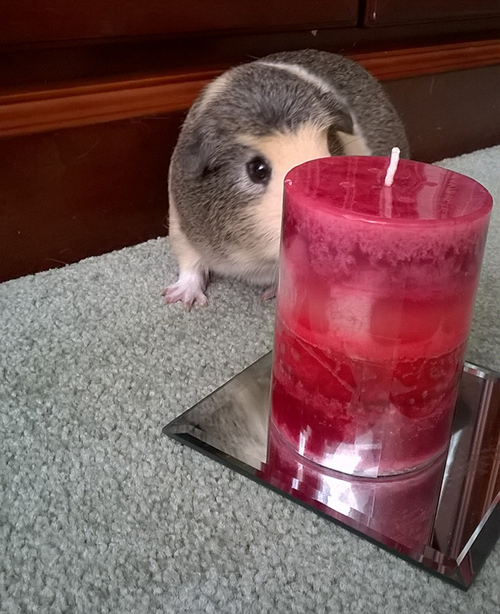 Welcome to the Guinea Pigs' Daily Digest! 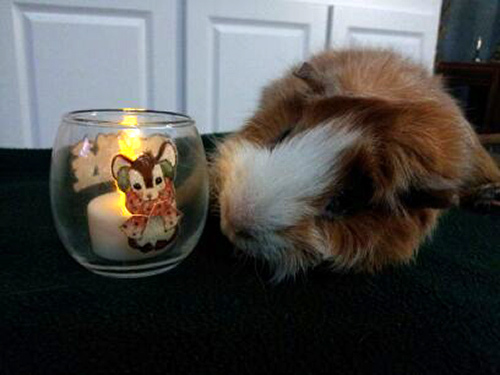 The GPDD is a group of friends who share a common love for guinea pigs. The goal for the GPDD is to be fun, informative and helpful - "A friendly cyber-piggie in your inbox" (SM) who visits every day. Anyone is welcome to subscribe to this moderated list, but before doing so please read our Rules of Pigiquette and Philosophy. Both explain in detail our basic premise: treat everyone as you would want them to treat you. 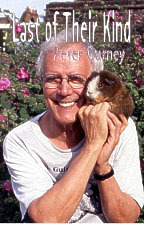 For those not familiar with Peter Gurney, or this annual event, Peter Gurney was an author and Guinea Pig advocate in England who died of cancer in 2006. He wrote many of the books on guinea pigs that we all use, and his website is still a vital source of information to all guinea pig lovers. 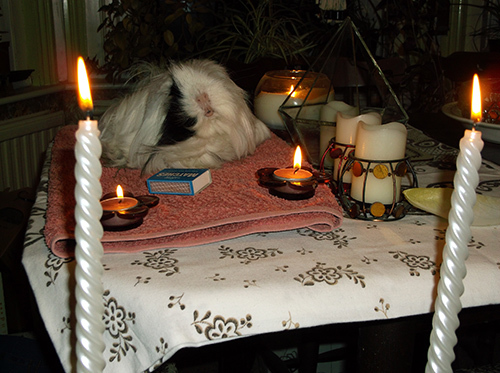 In 2006 we held our first Candle-Light Memorial in his honor, and to remember all of the guinea pigs and pets who are with him at the Rainbow Bridge. 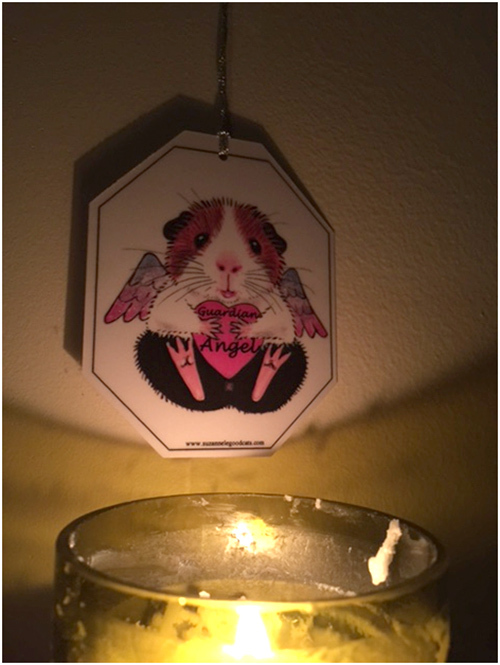 In memory of the Great Guinea Pig Man from Hilary and the Manc Piggies, Manchester, England. 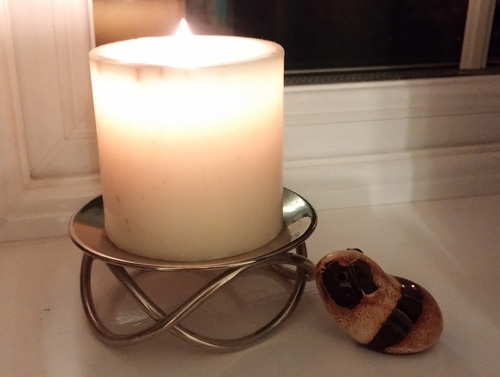 The GPDD Team sends a special "Thank You!" to Audrey Binder and Cindy R. Without their help in organizing the Candle Lighting and creating the maps, this would not be possible. 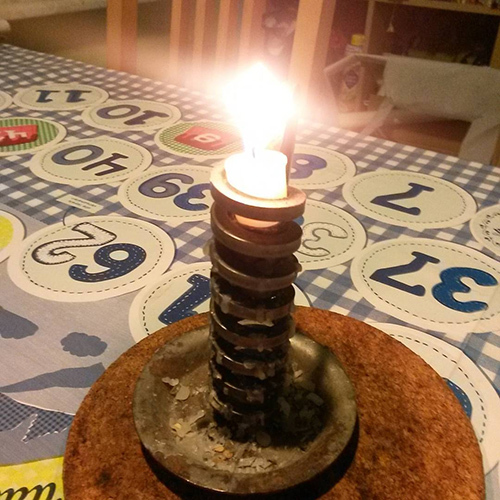 Candle lit From Luita in Berlin, Germany. 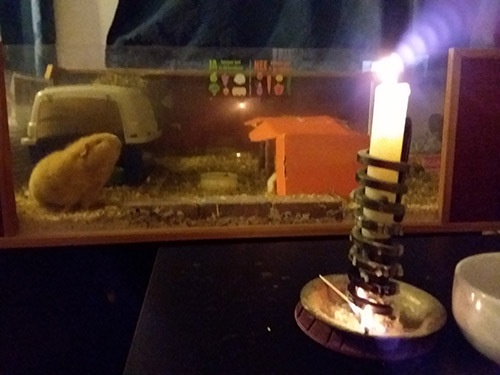 Here is Chap paying his respects to a wonderful man, and many wonderful animal friends and companions who have passed over the bridge. From Susan and Dave in Towson, Maryland. 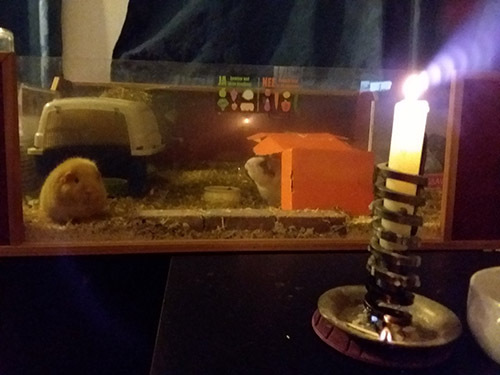 Cinnamon and Sugar and their mommy and daddy lit candles for all those who crossed the Rainbow Bridge. The Annual Peter Gurney Candle-Light Memorial, held on March 9th, 2010. It was the best participation we have had in the 5 years of doing this - with 84 participants! We will be remembering Peter Gurney, and other GPDDers, including Alge, Debbie, Kirsten, and Joseph Petrillo. 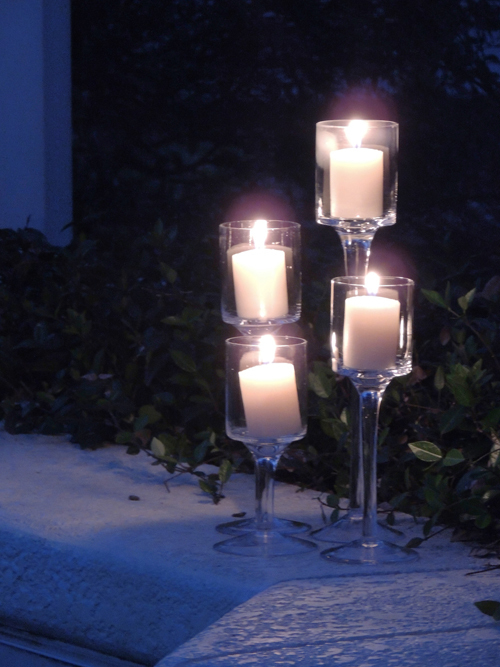 You are invited to participate in our fifth annual "Light for Peter Gurney" candle lighting memorial on Tuesday, March 9th, 2010, at 8:00 pm. As I promised to be the official "reminder person" for this event, I'll keep sending out reminders until March 9th. 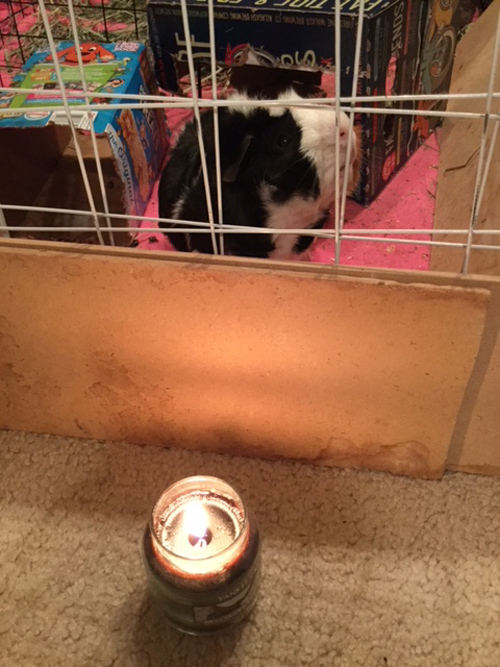 This is a "real" event, as everyone is invited to light a real candle at or around 8:00 pm, in your respective time zone, in rememberance of our beloved Alge, Debbie, Kirstin, Joseph Petrillo, Peter Gurney, and all of the guinea pigs who are now with them, at the Rainbow Bridge. 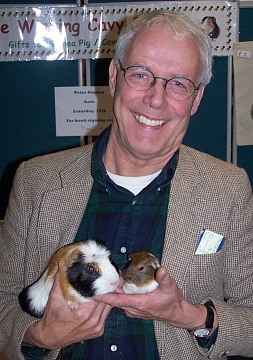 Peter Gurney was a tireless advocate for guinea pigs, who passed away from cancer July 1, 2006, in Great Britain. 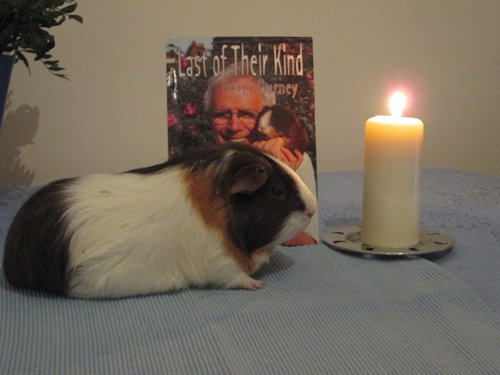 He wrote many of the books that we use, and he was probably the best guinea pig authority and advocate in the world. March 9th was his birthday, and many of us who read the GPDD decided that it would be a fitting day to remember and honor him. 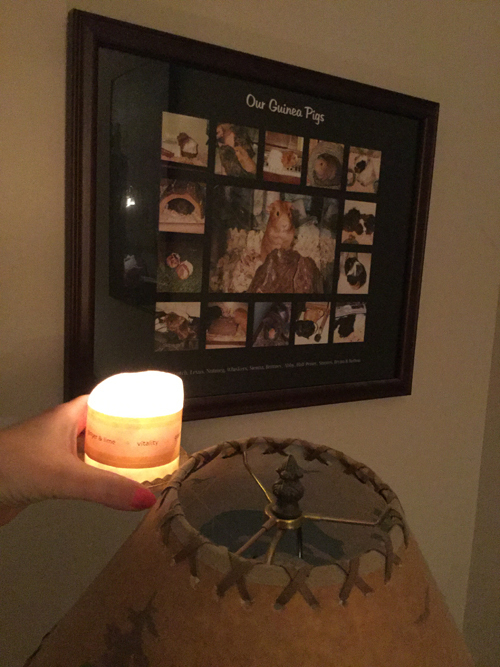 We have now expanded this memorial to include and honor our dear GPDD friends who are with him at the Rainbow Bridge. 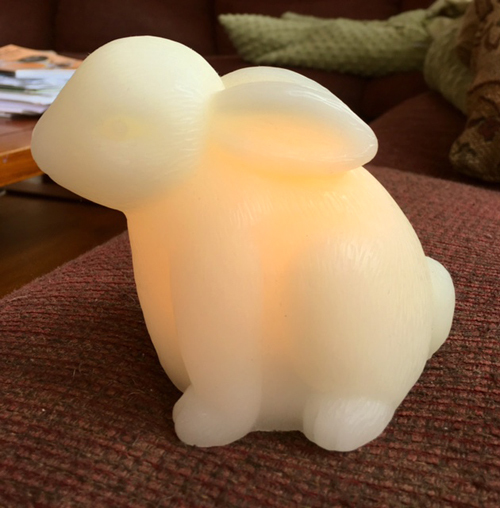 Basically, all you need to do is light a candle on March 9th, in the evening, and the light will move around the world. 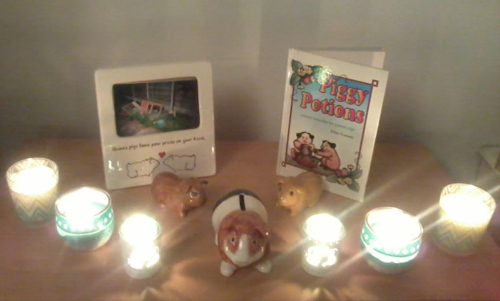 The memorial is also for all of the piggies who have passed away and are now with Peter Gurney. We know that he and our GPDDers with him are looking after all of them. 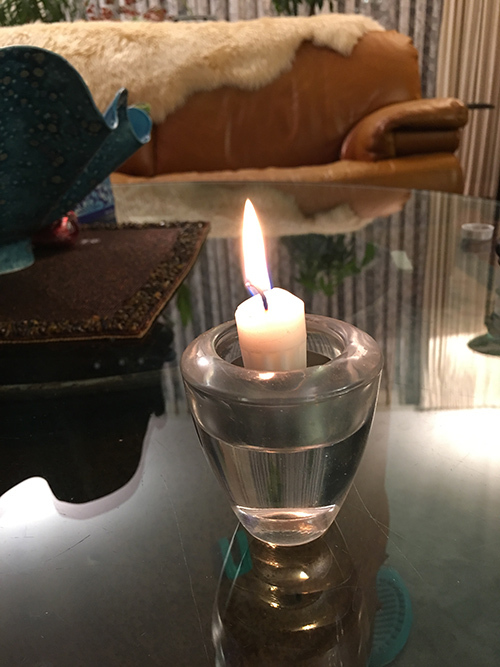 This will be our fifth memorial candle-lighting, and at the end I will ask you where you lit your candle, and post a listing of all the places where the light went. So, mark your calendars for March 9th at 8:00 pm! Also, if anyone has ideas on how to expand our world-wide coverage of this event (guinea pig forums in other countries), please let me know if you can help. The more, the better! 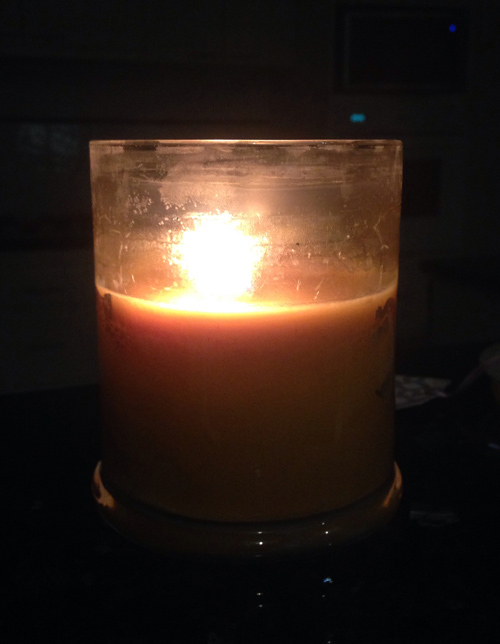 We will be lighting our candle on March 9th. 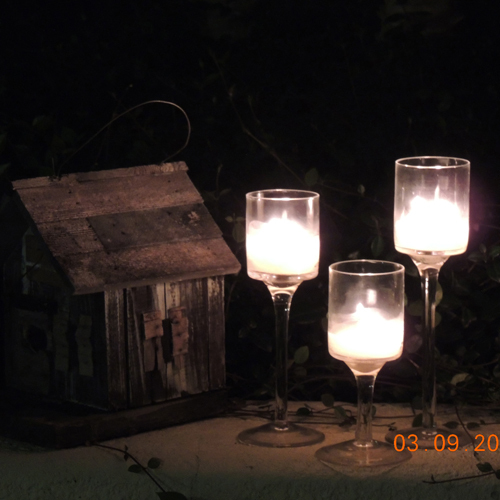 Invitation to light a candle in honor of Peter Gurney SUNDAY, MARCH 9, at 8:00 pm. March 9 would have been Peter's 70th birthday. Peter crossed on July 1, 2006 (see articles below, and tribute on this website). He has been gone almost two years, and is still greatly missed. 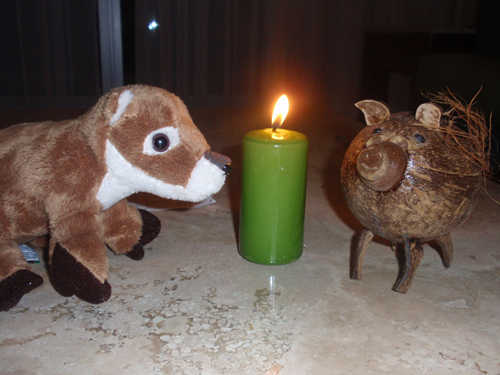 Lighting a candle is easy, and something we can each do to honor Peter's memory. He was a tireless advocate of guinea pigs, and left the world with guinea pig knowledge that we would have never had without him. His books and knowledge (not always conventional) has helped everyone here. 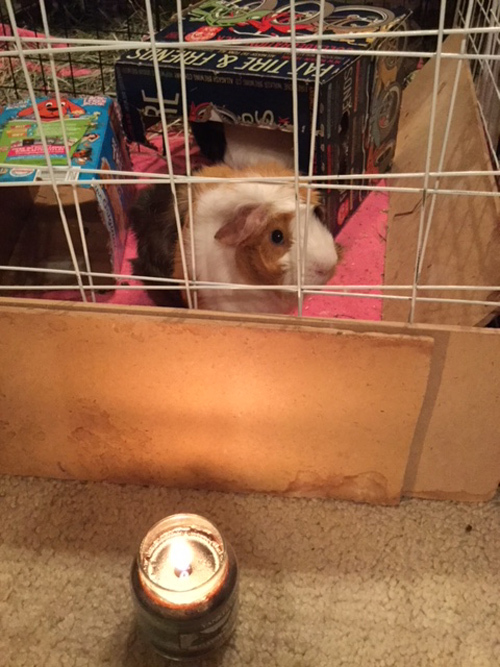 We can share the moment with or without our piggies, and light a candle on March 9 at, or around 8:00 pm, in your particular time zone. Mr. Gurney will have a light in his honor that will move around the world. I hope you all like the image of that - it really is something special for someone who has done so much for guinea pigs. After his passing, Peter's family saw to the completion of Peter's final book, "Last of their Kind". It is a truly beautiful book, full of amazing pictures of piggies. "In the months before he died, Peter Gurney was working on this book. He never tired of writing about and photographing his favourite animals and in this book we are given an insight to ‘life with Peter’, as seen from the Guinea Pigs’ viewpoint. It includes more than 70 full colour photographs and some poems Peter wrote about his Guinea Pig friends." Our friends at Willow Lodge Tales in Australia have published a new guinea pig book, just in time for Christmas and the Holiday season. Titled "Someone for Everyone", it uses digital photography to tell the story of three sister piggies, Cinnamon, Nutmeg and Sugar. Although the authors call it a childrens' story book, it's really for everyone, young and old. The book sells for $19.95, which includes shipping anywhere in the world (and some free gifts as well!) Note - delivery for Christmas is guaranteed if you order by December 7! 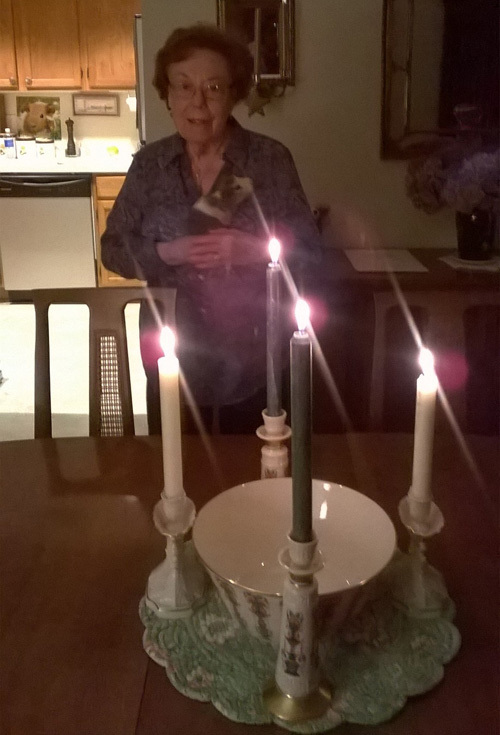 � Invitation to light a candle in honor of Peter Gurney this SUNDAY, JULY 23, at 8:00 pm. It's an easy and something we can each do to honor the memory of Peter Gurney, who passed away on July 1. He was a tireless advocate of guinea pigs, and left the world with guinea pig knowledge that we would have never had without him. His books and knowledge (not always conventional) has helped everyone here. 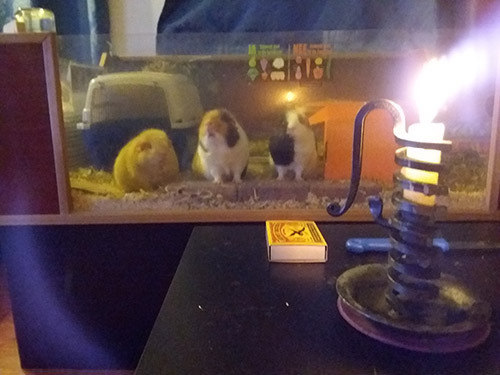 We can share the moment with or without our piggies, and light a candle this Sunday at, or around 8:00 pm, in your particular time zone. Mr. Gurney will have a light in his honor that will move around the world. 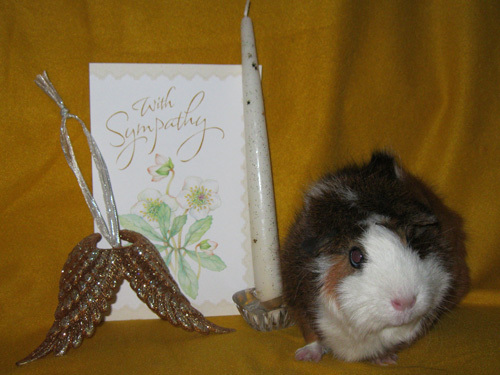 I hope you all like the image of that - it really is something special for someone who has done so much for guinea pigs. The obituary published in the London Daily Telegraph published. 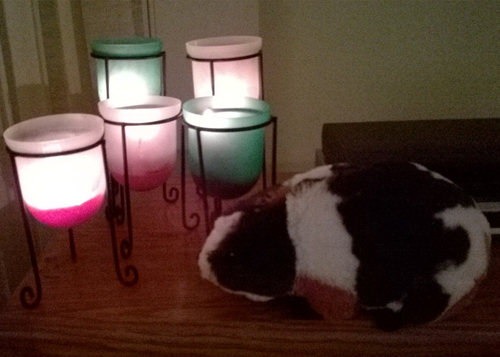 The Guinea Pigs' Rainbow Bridge now has its own site. 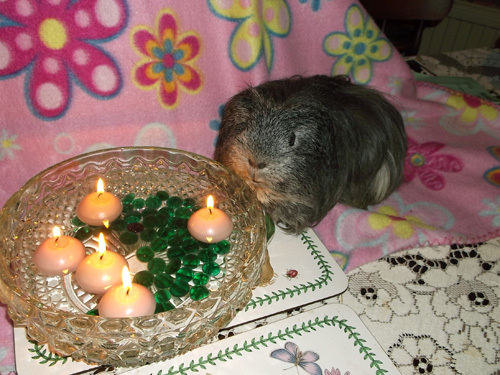 The Guinea Pigs' Rainbow Bridge pages have been part of the GPDD site for about a year now. But we felt there should be a site dedicated to the memories of our departed companions. 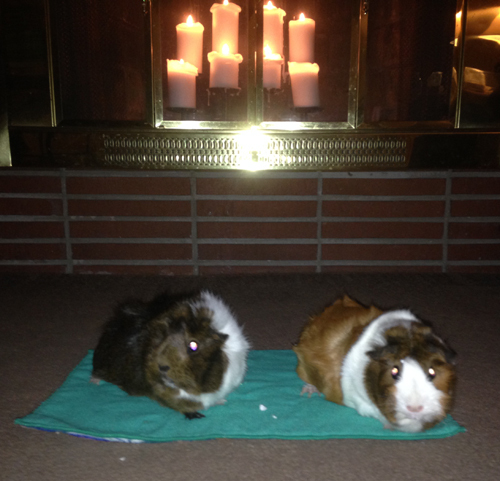 The Guinea Pigs' Rainbow Bridge has a new design and is now located at its own place on the web. Your subscription defaults to "Digest" mode, where you get (usually) one mailing per day of everything that's been posted in the last 24 hours. However, you now have the option to receive just the posts of topics you wish to read. Check out our Topics page for full details! The archives have now been made searchable! Go to the Archives page for info. 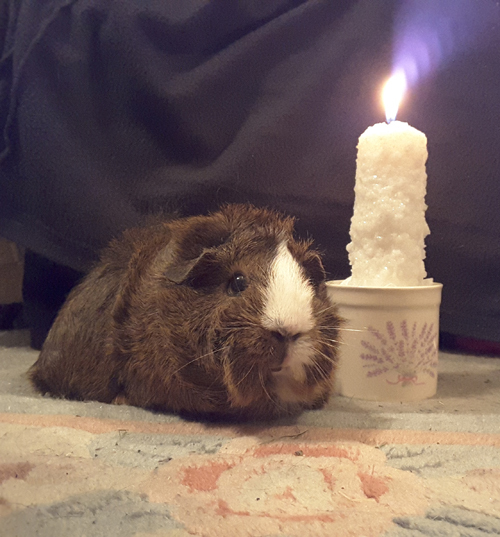 One thing that makes the GPDD unique is its membership of all types of guinea pig lovers: experienced owners, young people, beginners, old people, guinea pig rescue people, and breeders, all sharing their thoughts on guinea pigs. 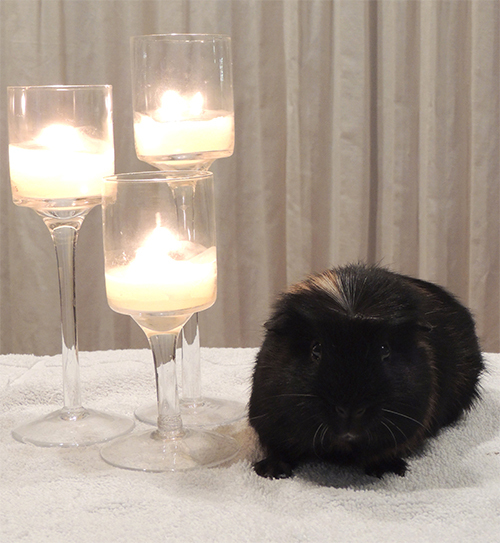 GPDD subscribers are worldwide, so that you'll virtually meet guinea pig fanciers from all over the planet; the digest is only edited in English, while there are also other non-English-speaking communities within it. This website is an offshoot of the GPDD mailing list. It contains additional helpful information about the GPDD, as well as other useful content such as links to other guinea pig-related sites. 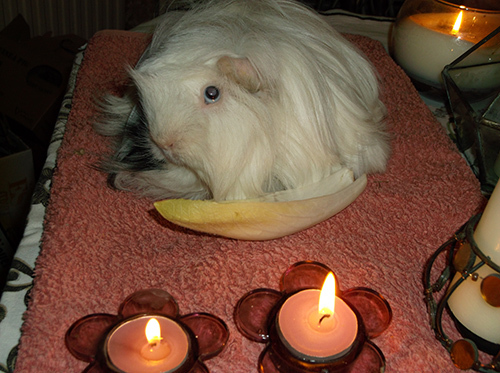 The Guinea Pigs' Daily Digest - or GPDD to its friends - is a daily electronic newsletter, founded in March of 1995 by Carlo Ferrari for the internet guinea pig fanciers community. 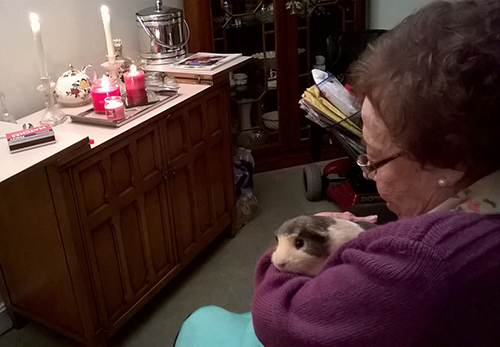 It is now managed by a team of people representing many facets of guinea pig ownership, including owners, rescuers and breeders, so it may better serve the overall community.